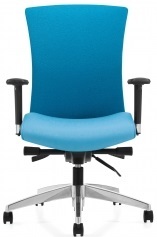 Looking for quality office chairs and office furniture at discount prices? We offer a vast range of OFFICE SEATING with a strong emphasis on WAITING ROOM CHAIRS and LOBBY FURNITURE for USA delivery. If you need help with your OFFICE DECOR and DESIGN, please give us a call. Either the RECEPTION CHAIRS or WAITING ROOM FURNITURE sections offer; OFFICE SOFAS, OFFICE GUEST CHAIRS, LOBBY CHAIRS and OFFICE BENCHES. 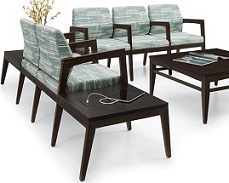 Choose WAITING ROOM CHAIRS for MEDICAL and DENTAL offices, OFFICE RECEPTION CHAIRS for WAITING ROOMS and RECEPTION AREAS. MEDICAL OFFICE FURNITURE is our strongest forte as we furnish on average two MEDICAL facilities each and every business day. Here you will find HIGH BACK OFFICE CHAIRS, DESK CHAIRS, LEATHER OFFICE CHAIRS and EXECUTIVE OFFICE CHAIRS with an emphasis on comfort and durability. For all of your OFFICE SEATING needs be sure to check our other specialty categories. We offer the complete package for your CONFERENCE ROOM FURNITURE requirements. CONFERENCE TABLES are available in wood or laminate, rectangular, boatshape, racetrack, round and oval shapes. MEETING ROOMS, TRAINING ROOMS, CONFERENCE ROOMS and EXECUTIVE BOARDROOMS can all be sourced in our CONFERENCE TABLES category. For COMPUTER CHAIRS, ERGONOMIC OFFICE CHAIRS and TASK CHAIRS of all styles and sizes, look in the ERGONOMIC COMPUTER CHAIRS and TASK CHAIRS categories.